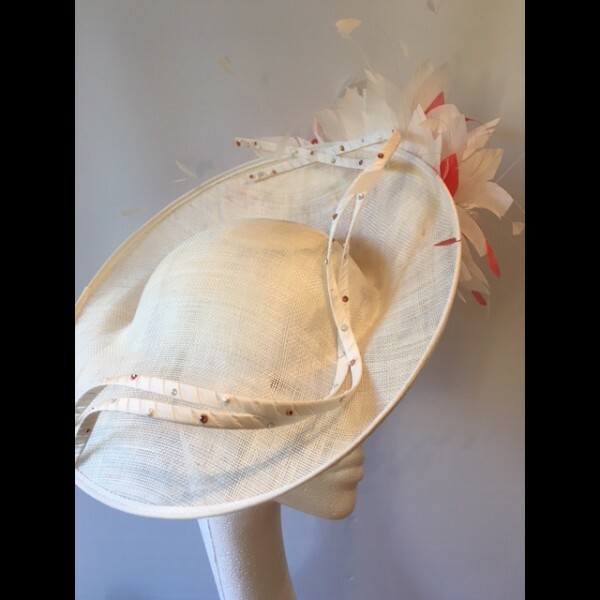 A medium sized saucer shaped headpiece with a moulded semi crown in soft ivory sinamay. 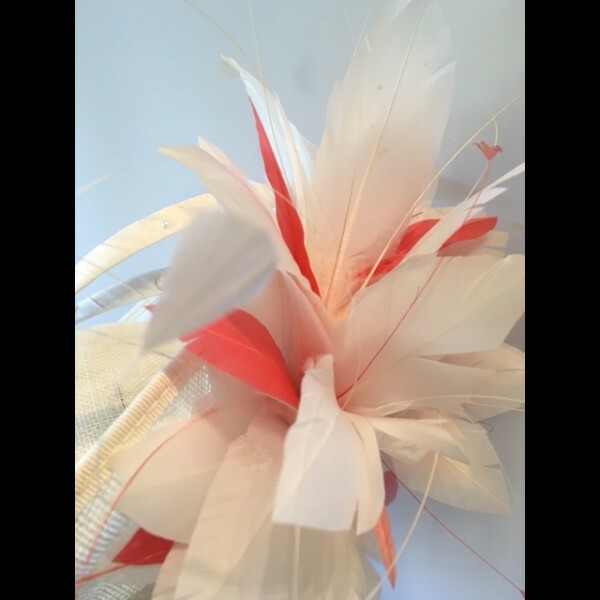 Topped with an abundance of ivory & coral feathers. 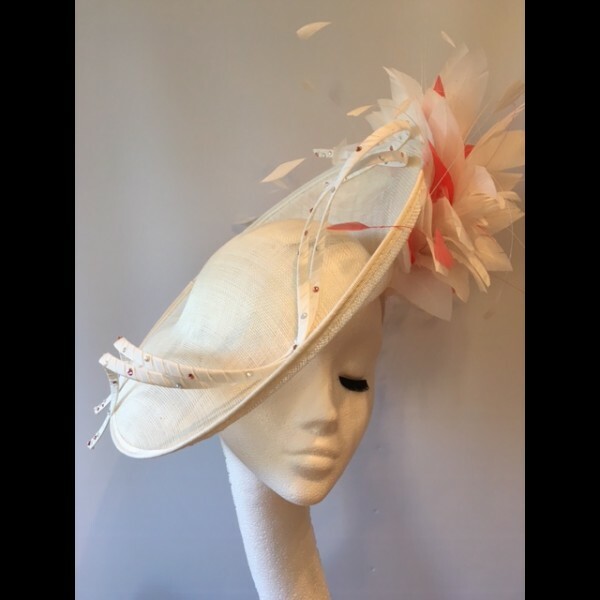 Gorgeous & Glorious Ivory & Coral Medium Size Saucer Headpiece. A medium sized saucer shaped headpiece measuring approximately 37cm in diameter. 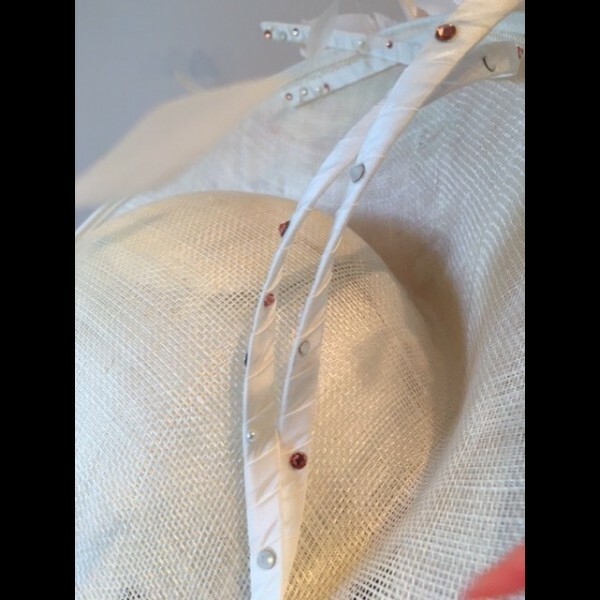 A semi moulded crown is integral to the saucer which is mounted on a silk wrapped headband for comfort. 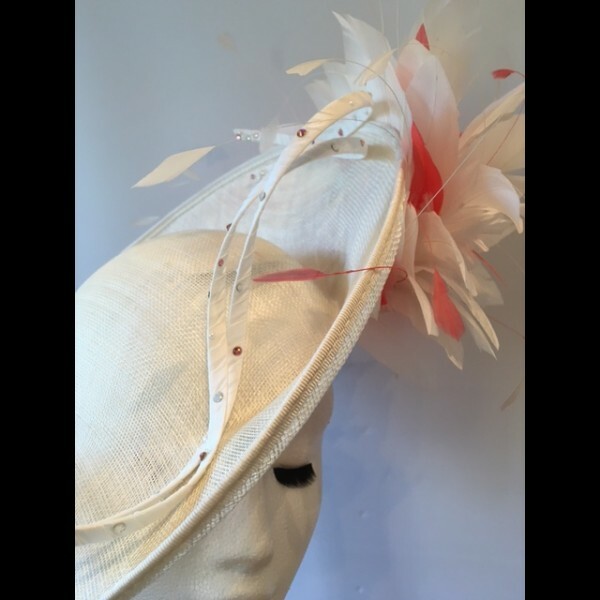 There is also a small comb to help keep this headpiece in place. Silk wrapped loops undulate across the top of the saucer, on the underside is a riot of ivory and coral feathers. 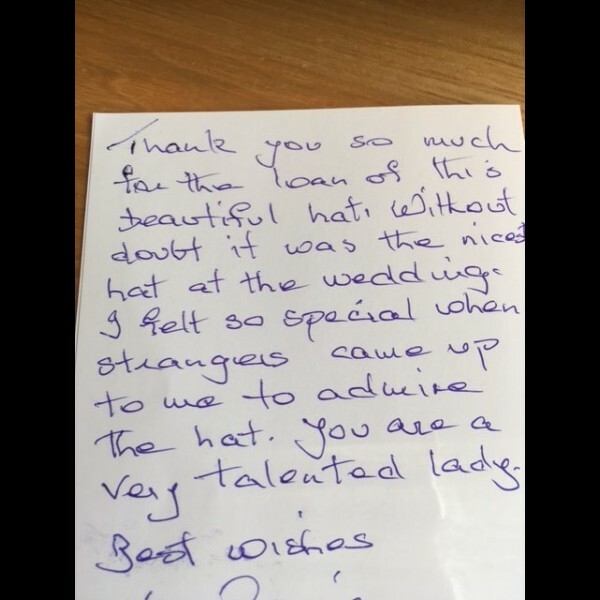 The price quoted is for the hire of the hat. Available for purchase in alternative colour combinations by bespoke order.